Shout! The Mod Musical covered all the bases of an hour well spent. 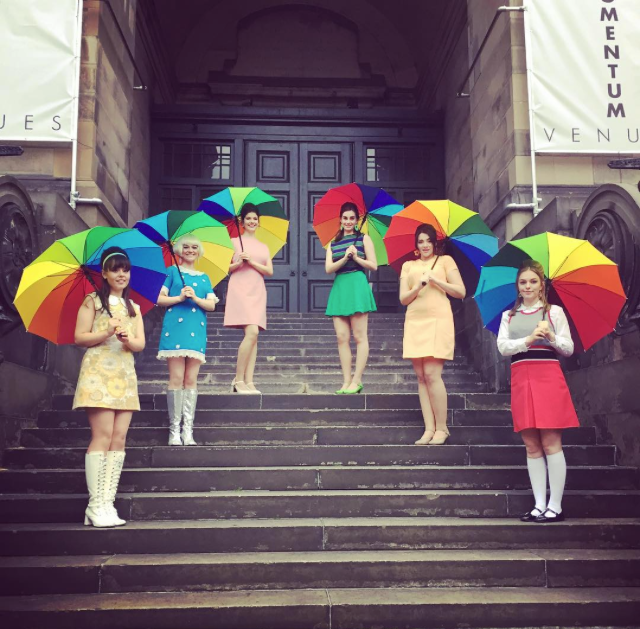 The musical focuses in on five girls finding their way through life in the sixties. We gradually learn more about each character through their letters written to Shoutagony aunt, Gwendolyn Holmes (Katie Tyler). There was humour, fun, serious topics and poignancy all handled with the lightest of touches in a show that sped by and left us with a smile on our faces. The five girls are talented singers and actresses and showed their craft with show stopping renditions of songs including ‘Downtown’, ‘You Don’t Have to Say You Love Me’, ‘To Sir with Love’, ‘These Boots Are Made For Walking’ and ‘Goldfinger’. The voices soared. The band was tight and supportive; the visual was clean, simple and effective. If pushed, of special note would be ‘Red’s’ (Sarah Folwell) rendition of ‘To Sir With Love’, ‘Yellow’s’ (Evangeline Pickerill) title track ‘Shout’ and ‘Blue’s’ (Haley Hampson) ‘Don’t Sleep in the Subway’. The comic prowess of ‘Green’ (Miriam O’Brien) was impressive and ‘Orange’s‘ (Emily Chesterton) understated power led to a perfect rendition of ‘You Don’t Have to Say You Love Me’. Tyler added wonderful dry humour, with some archaic stereotype quips that were quite breathtaking! The production was slick, as were the band – Callum Clarke (MD & keys), George Francis (Assistant MD & Keys) and Elliot Chapman (Drums).